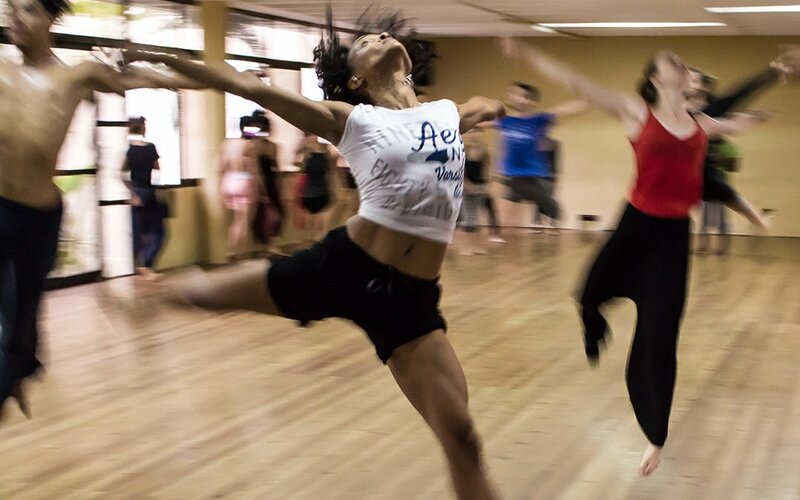 So you’ve decided that you’re passionate about dance and you want to start your own dance studio. But how do you start a dance studio on a budget? As with starting any small businesses, starting a successful dance studio will take a lot of planning, research, and dedication. It will take time for your studio to attract students and be profitable. But if this is truly something you want to see through, there’s no reason that you can’t succeed with your dance business. We’ve put together some helpful information from a variety of resources so you can get a quick look at all the details involved in your new venture. Good luck! Once you have a few possible names in mind, run them by friends and family to get their opinions as well. Take a little bit of time to do an internet search on your preferred names to see if they’ve already been taken. Your Secretary of State should also have a list of all business names registered in your state. “Raising capital from properties, personal savings, and selling off your personal stocks. At first, though, you may want to consider renting out space from larger facilities for specific time slots as opposed to leasing an entire studio. This will help to save you money as you work toward growing your business and attracting clientele. You’ll also need to register your business with the federal government and likely, your state government as well. There are typically fees associated with registering a business name, but usually, these fees are not cost-prohibitive. Federal, and possibly state, tax identification numbers are another element of making your business a legal entity. Setting up a business bank account is a must to ensure that you’re staying on the right side of tax laws and other legal issues. You’ll need to find out what permits or licenses are required before you can get your business up and running. If you’re going to catch the eye of potential students, you’ll need to do some marketing and advertising. Some of the first marketing steps you should take include creating a website for your business and social media accounts for the studio. You might also want to consider investing in print or direct mail advertising to get the word out to your community. Don’t forget about simple steps like putting signs outside of your business advertising that you’re now open or that you’re holding a grand opening or open house. Offering specials and discounts is a wonderful way to attract new students, too. Business cards, flyers, and promotional items like T-shirts also make it easy for you to expand your reach. You may also have the opportunity to partner with dance suppliers in the area to help your studio get more recognition. While it’s definitely cheaper to take on all the marketing and advertising efforts yourself, this may not be a possibility. Of course, it may also not be possible to hire a marketing or advertising firm. If that’s the case, consider the possibility of bartering. “Bartering for services is as old as commerce itself, and when done in a business-like way, it can be a cost-saver.” DanceTeacher You may know people who can set up your website or help out with other tasks in exchange for free dance lessons. Just make sure you put all these details in writing so everyone involved knows what they’re giving and getting in the deal. Expanding your knowledge base is always a good idea. Learning all you can about business administration is a great way to help ensure your studio succeeds. You’ll have no problem finding a variety of free, online courses about business management and other topics. However, if you’re looking for a course that specifically addresses dance businesses, Edie the Salsa Freak has put together an amazing Dance Business Management course that covers everything you need to know in order to be successful in the dance business industry.